One of the new state institutions created in the 1999 Constitution was the figure of the People’s Ombudsman, in charge of defending citizens’ rights against the state. Fourteen years after its creation, the role of the Ombudsman has diverted significantly from its constitutional duties. It has simply become (just like the rest of the State’s branches) a rubber stamp of the Presidency’s wishes and commands. To confirm this, a new report about the detailed activities (or lack there of) of the People’s Ombudsman in recent years was made public last week, authored by several Venezuelan NGOs. The report titled “And who defends you?” analyses the work of the Ombudsman between 2007 and early 2013, presenting a strong contrast between what’s written on legislation and its performance on reality. The current People’s Ombudsman Gabriela Ramírez is a politician, as she was a pro-Chávez MP before taking office. Therefore, her independence was questioned right from the start. She also shares the view of the former TSJ President Luisa Estela Morales that the “separation of State’s powers” is quaintly overrated. The People’s Ombudman as an institution has actively participated in partisan activities such as political rallies, and has committed itself to helping “the Bolivarian process”. 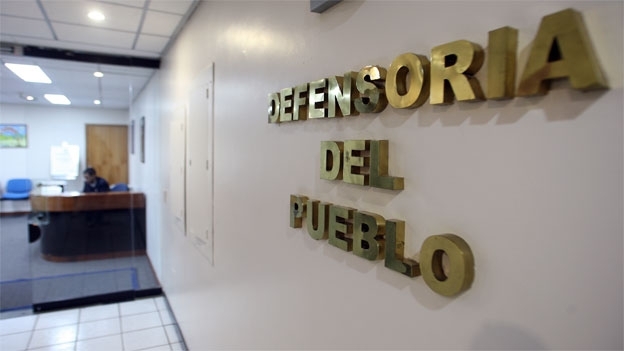 The Ombudsman has mostly ignored her role regarding the protection of human rights, focusing instead in defending the government’s policies (Ramírez coined the term “sensation of insecurity” to dismiss the issue of crime) and overseeing public services. One of those particular cases was covered by this blog last year. In multiple opportunities, the Ombudsman has attacked the Inter-American Human Rights System, and shown no objection to Venezuela’s withdrawal from the American Convention on Human Rights (due to become effective in a few weeks). As a matter of fact, several of its publications have even dared to criticize the Universal Declaration of Human Rights. The institution has been extremely reluctant to discuss its activities, and has offered poor accountability in its annual reports, which are not discussed in the National Assembly. Instead of working with long-established human rights NGOs, the Ombudsman has preffered to work with government-supported groups commonly referred to as “popular power”. It has also refused to collaborate with international organizations like the United Nations and the Organization of American States. To have a look (and even download the full report), you can go right here. It’s a doozy.